Who's the Boss? was a popular American comedy that aired on NBC for eight seasons, from 1984 to 1992. 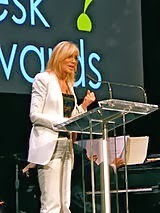 Judith Light played Angela Bower, a divorced advertising executive who led an upscale lifestyle. Angela originally worked for Wallace and McQuade Advertising. She later started her own company called The Bower Agency. Angela owned a large home in Fairfield, Connecticut where she resided with her mother, Mona Robinson, (Katherine Helmond. ), and her son, Jonathan Bower (Danny Pintauro). Their lives changed forever when Angela hired an ex-baseball player, Tony Micelli (Tony Danza), from Brooklyn, New York, to be her housekeeper. Tony was the widowed father of a daughter named Samantha, portrayed by Alyssa Milano. Here is how Common Sense Media describes Who's the Boss?. This long-running sitcom was one of the first to turn traditional family and gender roles upside down. Even though its stereotypical characters border on corny, Who's the Boss? manages to be loveable and charming for today's audience, thanks largely to the chemistry of the talented ensemble cast. The show provides a glance back at how television has evolved along with social roles, hairstyles, and clothing. Its charm is in watching macho Italian male Tony manage emotional challenges and domestic chores with integrity and finesse. The evolution of Tony and Angela's relationship and the growth of the children over the course of the series add depth to the storyline - we see tomboy Samantha grow up and start dating and eventually get married. And Tony's sensitive, self-deprecating wit balances Angela's intensity as they work together to raise a family. Watching the subtleties of their relationship evolve becomes a central theme of the show. Sure, some of the jokes fall flat, but this classic sitcom is enjoyable family television with a clear message: Families come in many varieties. So how much do you know about this role reversal comedy of the 1980s and 1990s. Test your knowledge by doing the quiz below. Good luck! 1. Tony Micelli (Tony Danza) was a former second baseman for which professional baseball team? 2. Which of these celebrities did not appear on Who's the Boss? ? 3. What was the name of Angela's ex-husband? 4. Did Tony and Angela get married on the show. A. Yes, they were married during the last season. The wedding took place at Angela's home. B. Yes, they eloped and got married in Las Vegas. C. No, they never married on the show. D. They were about to get married but Tony changed his mind on the day of the wedding. E. They were about to get married but Angela changed her mind on the day of the wedding. 5. What is the title of the theme song for Who's the Boss?? C. "A Time for Living"
6. During the fourth season of Who's the Boss?, which veteran actor played Max Muldoon, a client of Angela's who proposes marriage to Mona? 7. What was the name of the little boy that Angela and Tony took into their home because his grandmother couldn't take care of him anymore? 8. Which musical instrument did Angela Bower play poorly? 9. What was the name of Tony's nosy neighbour from his Brooklyn days? 10. What happened to Tony's daughter, Samantha "Sam" during the show's last season. A. She was involved in a car accident and injured herself. C. She accepted an exciting new job in Europe. D. She had a baby. E. She wrote a book. 11. What kind of car did Angela drive? 12. Which famous rhythm and blues singer made an appearance on Who's the Boss?? Tony Micelli was an ex-baseball player for the St. Louis Cardinals. He was forced to retire from baseball due to a shoulder injury. Tom Cruise never appeared on Who's the Boss? Frank Sinatra made a guest appearance on a 1989 episode of the show entitled "Party Double" (Season 5, Episode 16, Air Date: February 28, 1989). Ol' Blue Eyes played himself in "Party Double" and boxer Mike Tyson also appeared in an uncredited cameo role. In the episode, Tony and Mona compete to be invited along with Angela to an exclusive New York party where Sinatra is scheduled to perform (Trivia Note: Tony Danza performs a Sinatra song in "Party Double." At the end of the episode, he is credited with singing "The Lady is a Tramp." 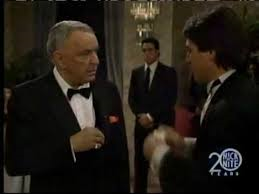 Sinatra with Tony Danza on Who's the Boss? Mike Tyson also appeared 1990 episode of the show called "Sam Accelerates" (Season 6, Episode 13 (January 2, 1990). Tyson portrayed himself in the episode. Michael Bower was the name of Angela's ex-husband. Film and television actor James Naughton played the role in two two-part episodes of the series in 1985. The first two-part episode is entitled "Angela's Ex: Part 1 and "Angela's Ex: Part 2 (Season 1, Episodes 15 and 16, Air Dates: February 5 and February 12, 1985). The second two-part episode is entitled "Custody: Part 1" and Custody Part 2) (Season 2, Episodes 6 and 7, Air Dates: November 5, 1985 and November 12, 1985). In "Angela's Ex: Parts 1 and 2," Michael shows up after Angela sends him divorce papers. In Custody: Parts 1 and 2, Michael returns to request that his son Jonathan be his best man at his second wedding, this time to his young and attractive personal assistant, Heather. The wedding is set to take place in California and Angela is heartsick at the prospect of her ex getting half year custody of their son. No, Tony and Angela never married on the show. On the eighth and final season of Who's the Boss?, they finally became a couple and discussed plans to wed. By that time, the popularity of the show had declined and the producers had persuaded the ABC network that a romance between Angela and Tony would revive interest in the show. It didn't happen that way and there was no increase in the show's ratings once they got together. As a result, the show was cancelled in 1992. In Season 8, Tony gives up his housekeeping job for a position as a coach/teacher at a college in Iowa. He then breaks his engagement to Angela. The series ends with him returning to Connecticut and appearing at Angela's door to reapply for his old job as her housekeeper. The rest can only be determined by the viewer's imagination. The name of the theme song from Who's the Boss? is "Brand New Life." It was was written by Larry Carlton, Robert Kraft, Martin Cohan and Blake Hunter. Here are the lyrics. The late Leslie Nielsen appeared on Who's the Boss? during the show's fourth season. He portrayed Max Muldoon in two episodes of the series entitled "Just Mona and Me" (Season 4, Episode 11, Air Date: December 8, 1987) and "Marry Me, Mona" (Season 4, Episode 21, Air Date: March 29, 1988). Nielsen passed away on November 28, 2010 at the age of 84. The little boy that Angela and Tony took under their roof was 5-year-old William "Billy" Napoli. They cared for the youngster while his grandmother, Mrs. Napoli, from the old Brooklyn neighbourhood, was ailing in the hospital. Jonathan Halyalkar, who portrayed Billy Napoli,, is now a 28-year-old actor/ producer. Halyalkar is also known for his performances in the film Anytown (2009) and the television series Third Watch in which he played Little Jerry Mancowicz. in two 1999 episodes. Angela Bower played the cello poorly. In an episode entitled "Gotta Dance" (Season 2, Episode 15, Air Date: January 21, 1986), Tony expresses his concern to her about pushing Samantha to be a ballerina. She tells him how she enjoyed playing the cello as a child and is convinced that she could have become a professional musician if she had been pushed to practise. While cleaning the attic, Tony discovers the cello that Mona had purposely kept hidden from her daughter.and Angela takes up the cello again, much to Mona's chagrin. Angela, meanwhile, is upset that her mother hid the cello from her. The name of Tony's former Brooklyn neighbour was Mrs. Rossini. 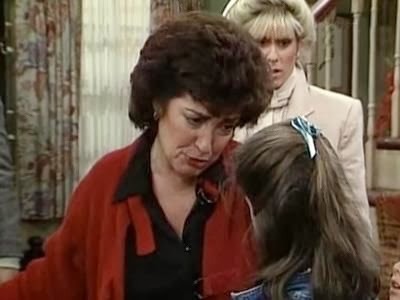 The motherly Mrs. Rossi was portrayed by actress Rhoda Gemignani in 25 episodes of Who's the Boss? from 1984 until 1982. Rhoda is the sister of the late Martin Cohan, who, together with producer and writer Blake Hunter, created Who's the Boss?. Although best known for her recurring role on Who's the Boss?, Gemignani has appeared on many sitcoms through the years including The Mary Tyler Moore Show (1973), The Bob Newhart Show (1973) (1974), The Jeffersons (1975), Kojak (1974), Diff'rent Strokes (1981)1983), Full House (1987). Seinfeld (1992), Friends (1997) and Caroline in the City (1998). She also had a recurring role as Rhoda DiMauro on Just Shoot Me! from 1999 to 2003 and was a guest on Tony Danza's one-hour talk show, The Tony Danza Show, in 2005 along with Judith Light and Katherine Helmond. During the last season of the show, Samantha married her boyfriend Hank Thomopoulous, played by Curnal Achilles Auliso. Hank was Samantha's fellow college student. He originally planned to study medicine but decided to become a puppeteer instead. Singer and pianist Ray Charles made and appearance on a 1987 episode Who's the Boss? entitled "Hit the Road, Chad" (Season 3, Episode 16, Air Date: February 3, 1987). In the episode, Ray Charles, a client of Angela's, once to use a song written by Samantha's then-boyfriend Chad.McCann (Scott Grimes). THE CAST OF WHO'S THE BOSS? Tony Danza was born Antonio Salvatore Iadanza in Brooklyn, New York on April 21, 1941. A professional boxer, Danza was discovered in a boxing gymnasium by a producer. He was later cast in a starring role on the TV comedy Taxi. He played Tony Banta on the series from 1978 until 1983 alongside co-stars Judd Hirsch, Danny DeVito and Marilu Henner. 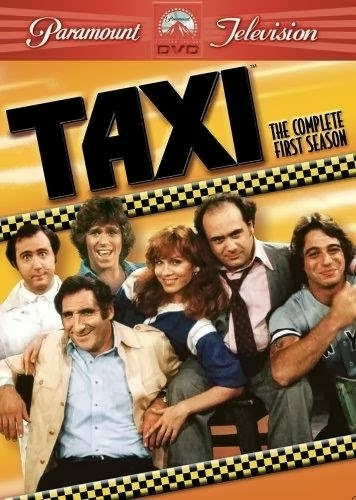 After five seasons on Taxi, Danza shot to stardom for eight seasons on Who's the Boss? When Who's the Boss? went off the air in 1984, he struggled to find sitcom success again. From 1995 to 1996, he starred as Tony Canetti in a comedy called Hudson Street. The show was set in Hoboken, New Jersey and Tony portrayed a divorced detective who shared custody of his son, Mickey, with his ex-wife. Lori Loughlin, (Rebecca Donaldson on Full House), played crime reporter Melanie Clifford, his love interest. Although Hudson Street received good reviews, the series was cancelled after one season and 22 episodes because it failed to maintain its initial good ratings. From 1997 to 1998, Tony starred as Tony DiMeo in another short-lived sitcom, The Tony Danza Show. Danza played a sportswriter with two daughters but the show was cancelled after 14 episodes. He did, however, win an Emmy nomination for a guest-starring role as attorney Tommy Silva in four 1998 episodes of the legal drama The Practice. From 2000 until 2002, Tony Danza had a recurring role as Joe Celano in 25 episodes of the crime drama Family Law. In 2005, he played Erica Kane's (Susan Lucci) wedding planner on the daytime soap All My Children. He also appeared as Matt Morelli in a 2008 episode of the comedy Rita Rocks (Season 1, Episode 8, Air Date: November 18, 2008). Danza has been twice married and twice divorced. He has four children - two from his first marriage to Rhonda Yeoman Iadanza (1970-1974) and two from his second wife, Tracy Robinson. He wed Tracy in June of 1986. They separated in 2006 and their divorce became final in 2013. 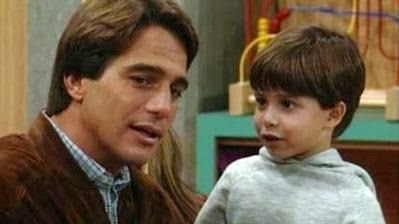 From his first marriage, Tony has a son, Marc Anthony Danza (born January 29, 1971). After a reconciliation with first wife Rhonda, a child named Gina was born in 1983. The reconciliation did not last but Tony apparently acted as the baby's father in every way. There is an unconfirmed story, strictly hearsay, that Tony underwent a paternity test and learned that Gina is not his biological daughter. From his second marriage, Danza has two daughters: Katherine "Katie" (born. May 8, 1987) and Emily Lyn (born 1993). Marc Anthony guest starred in two episodes of Taxi in the role of a disabled child named Brian Sims. The first episode is entitled "The Reluctant Fighter" (Season 2, Episode 15, Air Date: October 9, 1979). The second episode is entitled "Tony and Brian" (Season 2, Episode 16, Air Date: January 8, 1980). 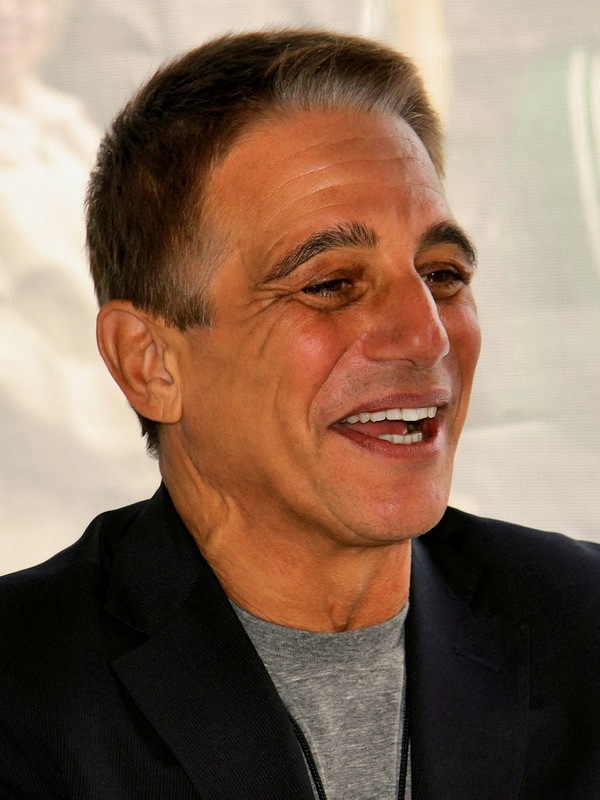 Tony Danza is also a grandfather. Marc Anthony and his wife, Julie, have a son named Nicholas David Danza (born August 27, 2005). Judith Ellen Light, who played Angela Bower, was born in Trenton, New Jersey on February 9, 1949. She earned a degree in drama from Carnegie-Mellon University in Pittsburgh, Pennsylvania. In 1977, she appeared in an episode of Kojak entitled "Monkey on a String" (Season 4, Episode 21, Air Date: February 15, 1977). She played the role of Laetitia Palmerance. Her first major TV role, however, was as Karen Wolek in the daytime drama One Life to Live. In 1980, she won a Daytime Emmy for Lead Actress in a Daytime Drama for her portrayal of Karen. After the cancellation of Who's the Boss?, Judith starred as Sara Campbell in the short-lived comedy The Simple Life (seven episodes, 1998) and as Barbara Stone in The Stones, another short-lived series (six episodes, 2004). She then went on to portray Claire Meade in the ABC series Ugly Betty and Judge Elizabeth Donnelly on Law and Order: Special Victims Unit. She has also appeared in over 15 television movies including The Ryan White Story (1989) in which she played Jeanne White, the mother of a 13-year-old haemophiliac who contracted AIDS from factor VIII, an essential blood-clotting protein used to control this disorder. Judith is an accomplished stage actress and in 2013 she received her second of back-to-back Tony Award for “Best Performance by a Featured Actress in a Play”, for The Assembled Parties. She also earned her second of back-to-back Drama Desk Awards for “Best Featured Actress” for the same play. In 2012, Judith played the role of Margie in two episodes of the TV Land comedy series The Exes. The episodes are "A Very Wrong Engagement" (Season 1, Episode 6, Air Date: January 4, 2012) and "Sister Act" (Season 2, Episode 10, Air Date: August 22, 2012). In 2013, she was cast as Judith Ryland in the second season of TNT's Dallas. Judith has been married to television actor Robert Desiderio since 1985. The couple met while co-starring on the soap One Life to Live. They do not have any children. Alyssa Jayne Milano was born on December 19, 1972 in Brooklyn, New York and grew up on Staten Island. She comes from an Italian-American family. Her mother, Lin Milano, is a fashion designer and her father, Thomas Milano, is a film music editor. She has a younger brother, Cory John Milano, born October 24, 1982. Cory is also an actor and is known for his work in Spider-Man 3 (2007), Disaster Movie (2008) and Drag Me to Hell (2009). Alyssa launched her career at the age of eight after winning a role in an audition for a national tour of the musical Annie. After months on the road with her mother, she left Annie to perform in off-broadway productions and television commercials. 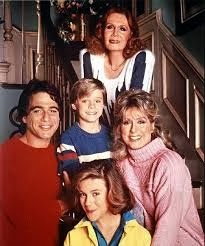 In 1983, at the age of 10, she landed the part of Samantha Micelli on Who's the Boss?. It was her breakthrough role and her family moved to Los Angeles to accommodate her career. Since the cancellation of Who's the Boss?, Alyssa has appeared in several television series. Most notably, she played the roles of Jennifer Mancini on Melrose Place from 1997 to 1998, Phoebe Halliwell in Charmed from 1998 to 2006 and Billie Cunningham in My Name is Earl from 2007 to 2008. In 1999, Alyssa was briefly married to musician Cinjun Tate, lead singer for the rock group Remy Zero. They divorced after ten months. On December 18, 2009, she tied the knot again, this time to CIA agent David Bugliari. The wedding took place at the New Jersey home of Bugliari's family. In August of 2011, Alyssa gave birth to the couple's first child, a son named Milo Thomas Bugliari. 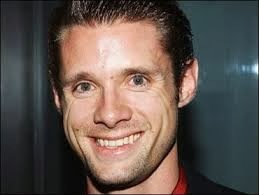 Danny Pintauro, who played Jonathan Bower, was born in Milltown, New Jersey on January 6, 1976. His first appearance on television was in the daytime soap As the World Turns where he was cast in the role of Paul Ryan. He played that role from 1982 until 1985. When Who's the Boss? was first broadcast in 1984, Danny was just 8 years old. The former child actor has had very few television credits since the series went off the air in 1992. In 1987, Danny had a guest role in a two-part episode of the Michael Landon series, Highway to Heaven, entitled "Man's Best Friend" (Season 4, Episodes 1 and 2, Air Dates: September 16, 1987 and September 23, 1987). He played a character named Alex. In 1994, Pintauro took a break from professional acting and concentrated on his education, attending Middlesex County College in Edison New Jersey. He then enrolled at Stanford University in California where he graduated in 2001 after studying English and drama. In 2010, Danny appeared in an episode of the TV comedy/drama The Secret Life of the American Teenager entitled "Ben There, Done That" (Season 2, Episode 24, Air Date: March 22, 2010). That same year, he was a guest star on short-lived the comedy Laugh Track Mash-ups in an episode called "Late for Class!" (Season 1, Episode 1, Air Date: September 19, 2010). If you don't remember Laugh Track Mash-ups, it's not surprising. Only four episodes of the show, which parodied 1990s sitcoms, were produced. Danny "came out" as gay in a July 1997 interview with National Enquirer. In April of 2013, he became engaged to his partner Wil Tabares. Pintauro,has just turned 38 years old. As of 2013, he was managing a Las Vegas restaurant. 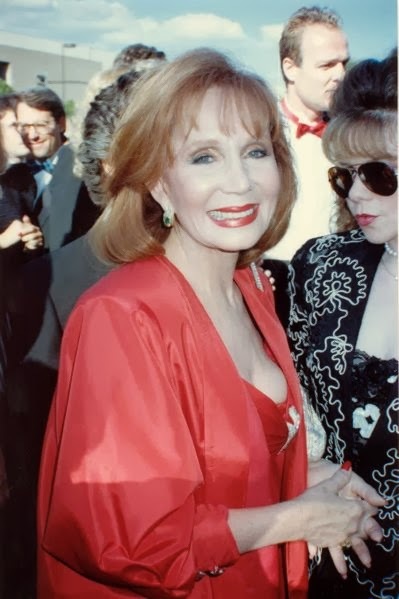 Katherine Helmond, who played Mona Robinson was born on July 5, 1929 in Galveston, Texas. After the cancellation of Who's the Boss?, Katherine had recurring rolls on two successful sitcoms, Coach and Everybody Loves Raymond. From 1995 until 1997, she played Doris Sherman, the outlandish owner of a fictional football team on Coach. From 1996 to 2004, she portrayed Lois Whelan (Ray Barone's mother-in-law) on Everybody Loves Raymond. In 2002, she was nominated for an Emmy in the category of "Guest Actress in a Comedy Series" for her role as Lois. In 2011, Helmond, made guest appearances on HBO's True Blood and the NBC comedy/drama Harry's Law. On the drama/fantasy True Blood, she portrayed Caroline Bellefleur in a epidode called "I'm Alive and on Fire:" (Season 4, Episode 4, Air Date: July 17, 2011). She played a character named Gloria Gold in an episode of Harry's Law entitled "The Rematch." (Season 2, Episode 6, Air Date: November 2, 2011). Kaherine, now 84 years old, has been married twice. In 1957, she married George N. Martin. After their divorce in 1962, she wed David Christian. She and Christian have been together ever since and have no children. * 196 episodes of Who's the Boss? were produced. * There was a British version of Who's the Boss? called The Upper Hand featuring Honor Blackman, an English actress best known for her roles as Cathy Gale in The Avengers (1962-1964) and a "Bond girl" in the 1964 film Goldfinger. Upper Hand was directly scripted Who's the Boss? rather than an adaptation or reworking. It premiered in 1990 and was cancelled in 1996. It's interesting to note that Katherine Helmond made an appearance on this British series in 1993. A German network, RTL, aired a German language version of Who's the Boss? called Ein Job für's Leben (A Life-Time Job) in 1993. Its scripts were a translation of the 1984-1985 season of the American version and it was cancelled after one season. * In an episode of Who's the Boss? entitled "Car and Driver" (Season 4, Episode 10, Air Date: December 1, 1987), it is revealed that Tony's middle name is Morton. Thus, his full name is Anthony Morton Micelli. Hmmm . . . Morton doesn't sound very Italian. 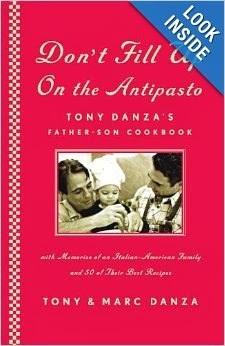 * In 2008, Tony Danza and his son, Marc Anthony, published a father-son Italian cookbook together. The title of the book is Don't Fill Up on the Antipasto. They can be seen on the cover with Tony's grandson, Nicholas. You Wanted to Know: How tall is Mark Harmon?